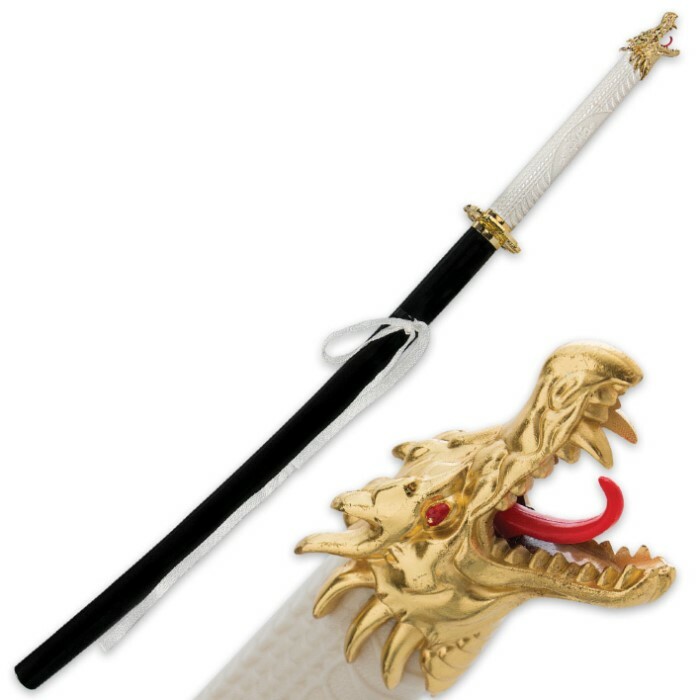 The Ginryu, sword of Kurogane from the popular anime series is a must-have for your fantasy sword collection. 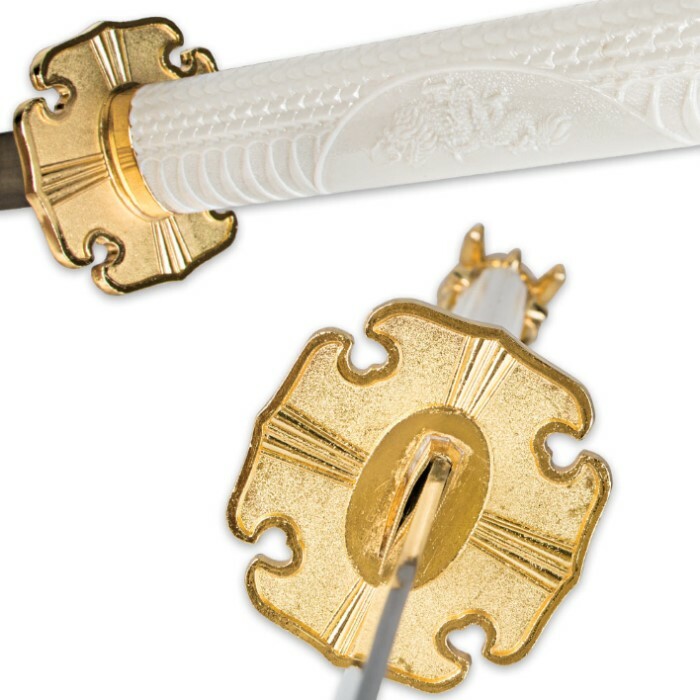 This reproduction is inspired by the sword that Kurogane wielded at the start of the series and eventually passed off to Ichihara. 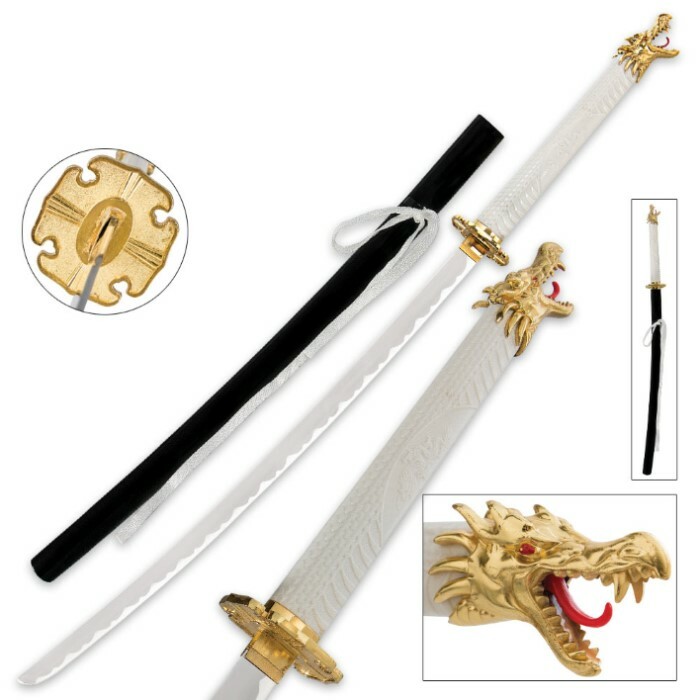 It features a 27" carbon steel blade with the signature handle design you will recognize immediately, including a cast metal dragon theme. A sleek wooden scabbard is included.